Hello, friends! I have been very busy during the past few days, but I’m finally back to my usual routine (hopefully!). 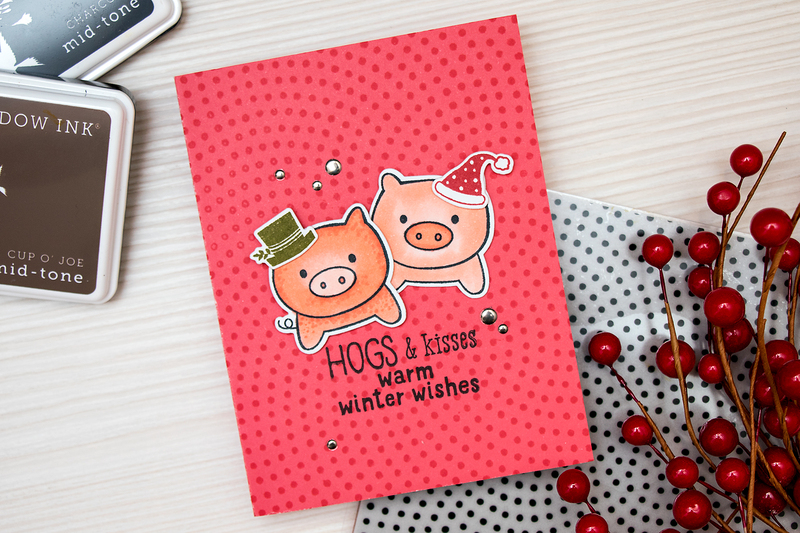 Anyhow, I have an adorable holiday card to share with you using a couple products from Hero Arts. 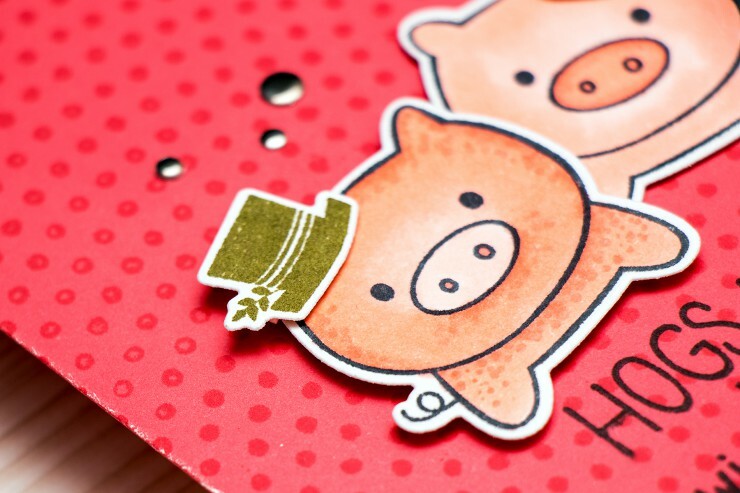 I simply adore the little animals from the Playful Animals stamp set from Hero Arts. 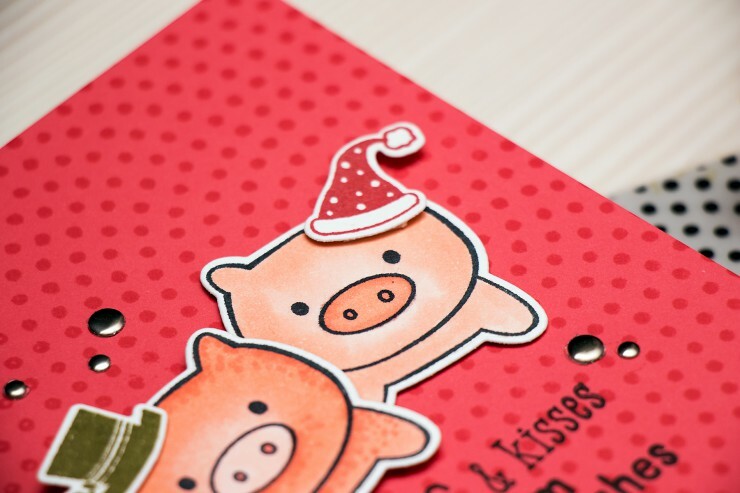 Especially those piggies, so cute! Because I have been in a purely holiday mood lately, I decided I would add Santa and Snowman hats and turn them into Christmas pigs. 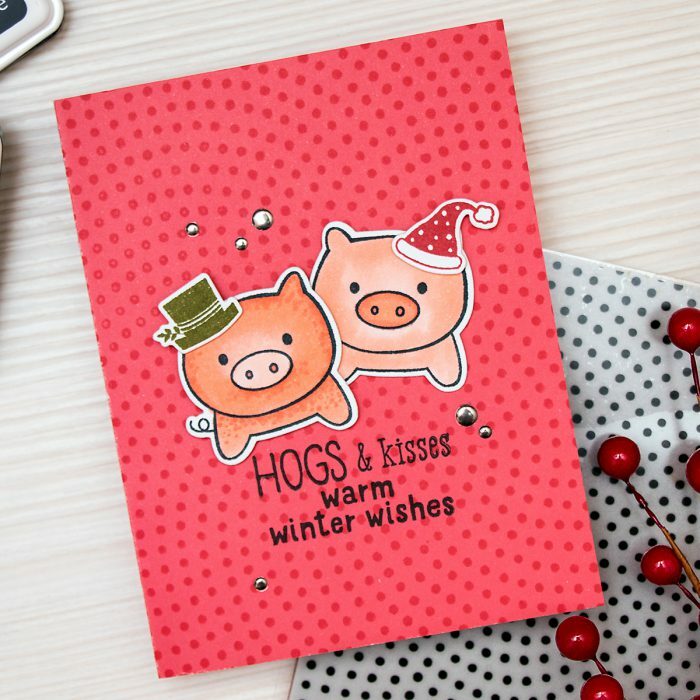 I stamped the Hogs and Kisses sentiment from the Animal Messages set and also added a Warm Winter Wishes from the Merry Cactus to You set to make this a holiday card. The little piggies were stamped in Memento Tuxedo Black ink and colored using a few colors of Copic Markers. 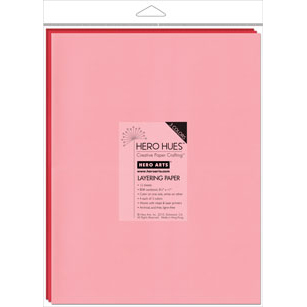 I also cut them out using matching dies and foam mounted onto a Blush Mixed Notecard. A background was stamped using Dot Moire Bold Prints Cling Background stamp and Pale Tomato ink. Lastly I added a few metallic decor elements and finished this card. This post was updated on July 6th 2016. I really like the stripes! Very clever holiday card and a great reminder to think outside the box and stretch your supplies.